Luigi Ghirri’s photographs can seem nostalgic, but they woudn’t have come across that way in the 1970s, when most of them were taken. He liked unremarkable places such as seaside resorts, amusement parks, farmhouses, tourist attractions, and nondescript city streets; he wasn’t drawn to anything particularly dramatic, nor did he invest them with strong feeling. Ghirri’s was an enigmatic vision of the everyday; he chose to make strange the ordinary, revealing life as a little empty and alienated but never especially unhappy or disturbing. Although his deadpan images are apparently effortless, they are possessed of understated and puzzling complexity; beneath their calm surfaces there is a peculiar ambiguity that can be associated with the passing of time, and with doubt, humour, and mystery. Operating in a liminal space between realism and metaphysics - not unlike his Italian compatriots Giorgio de Chirico and Giorgio Morandi - Ghirri quietly draws our attention to things, relationships, and ideas that most people don’t notice. Luigi Ghirri (1943 - 1992) has received much acclaim for his photographs in the past decade. In 2008, the Aperture Foundation produced the first book on his work in English, and his work was featured in the 2011 and 2013 Venice Biennales. The Douglas Hyde Gallery warmly thanks Adele Ghirri and Matthew Marks Gallery for their support of the exhibition. 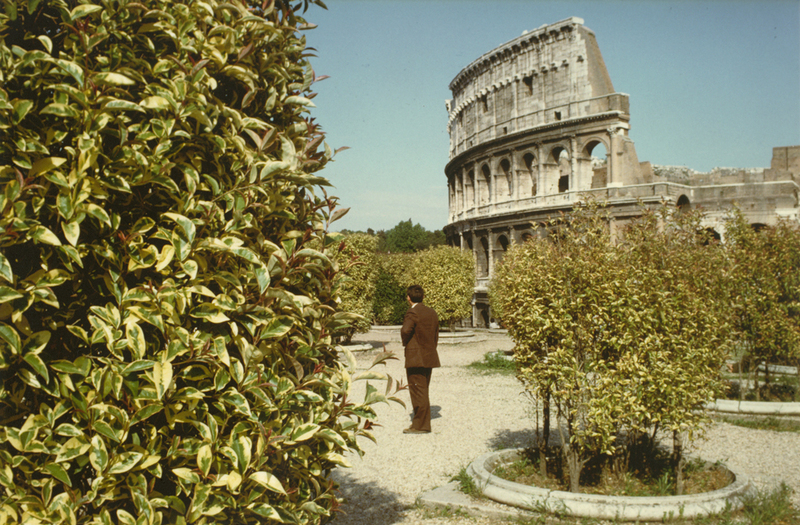 Click here to view the Luigi Ghirri publication. An ageing and cynical journalist, once a promising novelist, enjoys a decadent and gregarious lifestyle in Rome’s high society. When he learns of the death of a woman he loved as a youth, his life is pulled into perspective and he begins to reflect on his past and unfulfilled aspirations. One of the most acclaimed and elegantly photographed films of recent years, La Grande Belezza has attracted comparisons with classics of 1960s Italian cinema such as La Dolce Vita and La Notte. It is shown with permission from BFI.